Commonly, in Latin American countries, individuals move between being connected to the internet and being offline. Often on cheap phones, the amount of data one can afford affects how connected they are. Unlimited data plans are uncommon, as most people have 1-2 GB of data per month. Furthermore, people are regularly offline if they live or work in a rural area or low-connectivity region. 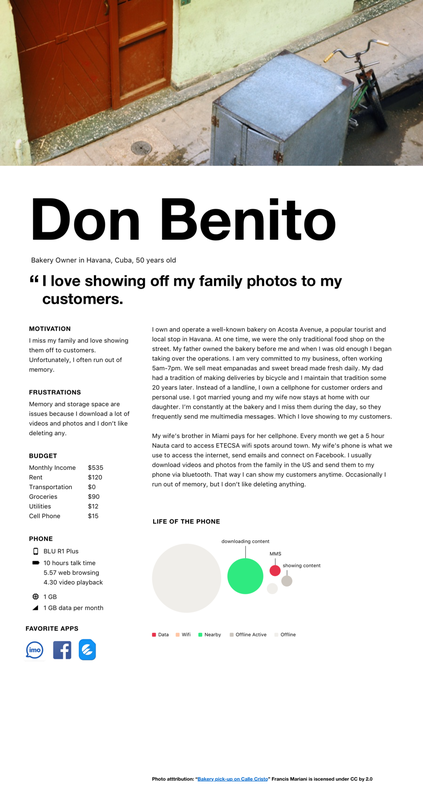 We’ve created 10 personas that represent scenarios and behaviors in Mexico, Colombia and Cuba. They were informed by survey research and personal stories from online articles and blogs. For more information on our research, view the original survey or see the results. 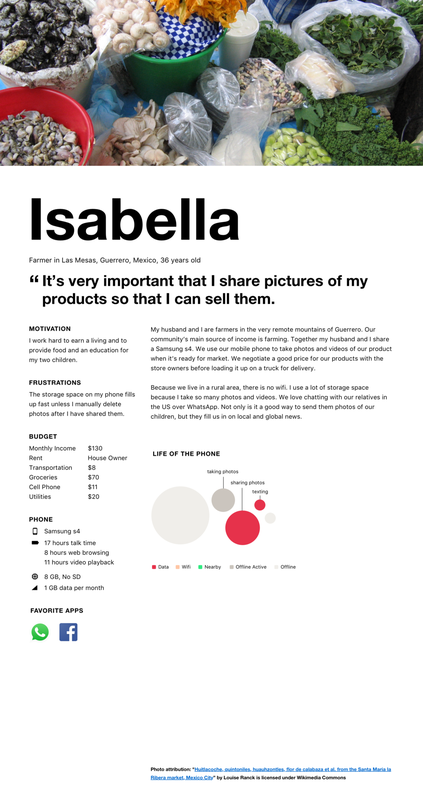 Get the Spanish version at Personas: Latinoamerica. If you have country-specific feedback on any of these personas, please share in the comment section below. If you use Github, you can open an issue under the Viento project. These personas were created in partnership with Guardian Project as part of the Viento project. You can download the .pdf documents from Github.